The Handmaid's tale was perhaps the most well received show of 2017. 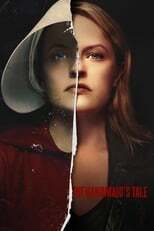 The show starring an incredible Elisabeth Moss is set in a dystopian future in which an evil religious government has taken over, and forces some women to make babies for richer families. Where can you stream The Handmaid’s Tale? On 2017-04-26 Drama/Sci-Fi & Fantasy TV Series The Handmaid’s Tale first aired on Hulu. Written and created by Bruce Miller, and produced by Hulu Originals & MGM Television, The Handmaid’s Tale will return and was last broadcasted on 2018-07-11.